Getting married and buying a home often go hand in hand. The home is a major piece in building a new life with a partner, after all. In fact, your marital status has implications on your ability to buy the kind of home you and your spouse dream of. 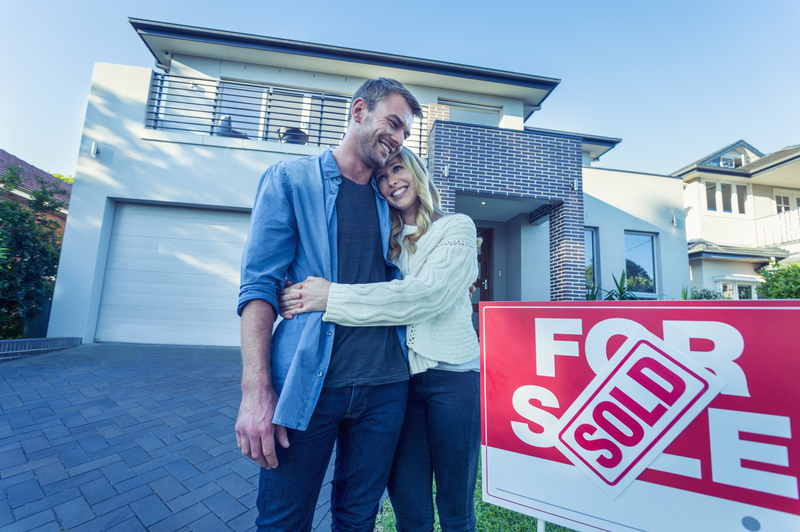 You and your spouse have an advantage when applying for a mortgage – if your income remains stable and your credit histories are good. If you have a high combined income-to-debt ratio, you are eligible for a bigger home loan. Lenders base their approval decisions on the lowest credit scores between married couples. Therefore, if one spouse has a low credit score, the spouse with the better score may apply on their own to secure a better deal. Alternatively, you can look for a Federal Housing Administration-insured loan, which enables borrowers to qualify for loans with down payments as low as 3.5%. FHA loans can accommodate borrowers with credit scores of 500 (lenders typically set their lowest qualifying score at 620). The catch is that you will need to cover upfront and ongoing mortgage insurance premiums, which are intended to protect the lenders. If one spouse secures a mortgage prior to getting married, the other partner is not liable for any debt under the mortgage terms. This applies even if the couple occupies the home that the loan is financing. If the mortgage owner dies before completing payments, the widowed spouse cannot be forced by the bank to shoulder the unpaid balance. However, if the surviving spouse inherits the property, they can opt to keep the house and pay off the loan. They can also refinance the mortgage to secure a better rate, longer terms, and negotiate lower payments. If the widowed spouse has credit issues, they can also ask another family member to co-sign for the new mortgage. When evaluating your loan application, lenders consider the cost of supporting dependents like children and elderly parents. Therefore, make sure your income is more than enough to cover their care, your day-to-day expenses, and what might be left over to take cover mortgage payments in the future. Child support can be considered both an expense – if you’re the paying party – and a source of income – if you receive payments on behalf of the child. However, child support can only be declared a source of income if payments have been ongoing for six months and are guaranteed to continue for the next three years. Ohio is the only state in the US with “dower rights.” This means that every spouse in Ohio owns a third of the property acquired by their partner during their marriage – even if the property is owned solely by the spouse. The law – seen as antiquated by most states – is designed to protect any husband or wife who does not hold the title of the property – and gives them the right to sign off on a formal contract before any intended sale of the property can be completed. Dower rights cease upon the death of the spouse, separation or divorce, or by waiver. Read more about dower rights here. Need more advice for your mortgage needs? Call me, Michelle McQuade, at (440) 823-2448 and I’ll walk you through the details.